Smart parcel tracking and rich on-map localization. Smart tracking and rich on-map localization. even after you hand over your packages to the courier. With Outvio you are visually able to localize all your deliveries on a live map, keeping you ahead of game of any potential delays. 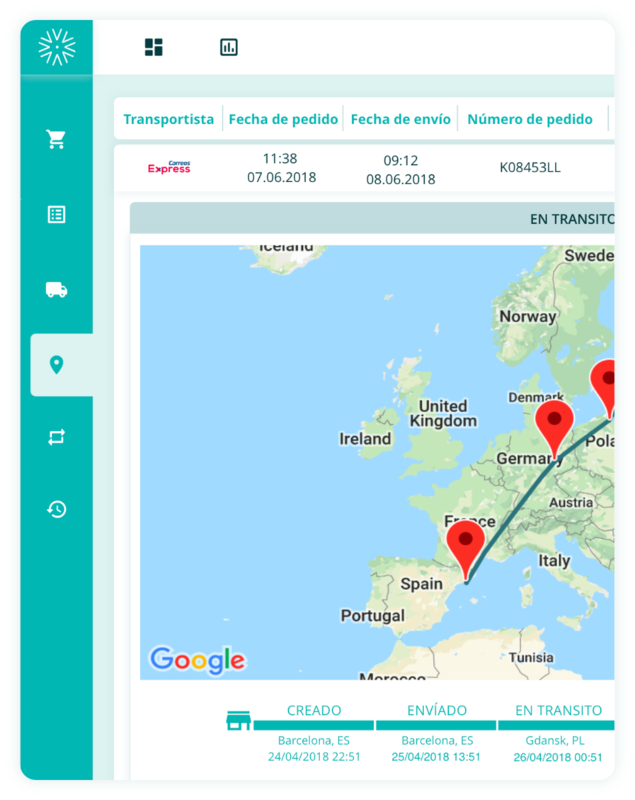 Our smart AI powered tracking notifications alert you when something is going wrong with a shipment even before the couriers themselves know about it. This way you can be proactive and wow your customers by solving their worries even before they have any! Outvio also enables your customers to visually track their parcels through your own dedicated tracking portal with your branding. All the information they need is right there at their fingertips, so no need to contact your customer service with unnecessary “Where is my order? !” queries. Win-win! We even help you hold your couriers accountable by making sure they stick to the promised delivery times and notify you when they don't! in trasit and the wellbeing of your customers. Take your customers satisfaction and loyalty rates to new heights! SEE NEXT: Online returns management for your customers.